Either way, warm weather like we're experiencing this week calls for cool, refreshing drinks. And I don't know about you, but smoothies call out to me as soon as summer hits. When I get home from work, it's a healthy, delicious fruit smoothie that I'm craving. 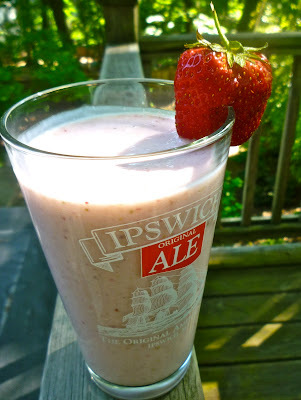 I whipped up this smoothie yesterday after work and it was perfect! I didn't really think too much about the ingredients I put in, but thankfully, the proportions worked out great so I wrote them down so I could share them with you. What I love about smoothies is that they're so easy to change up! In this smoothie, you could easily use juice instead of milk. 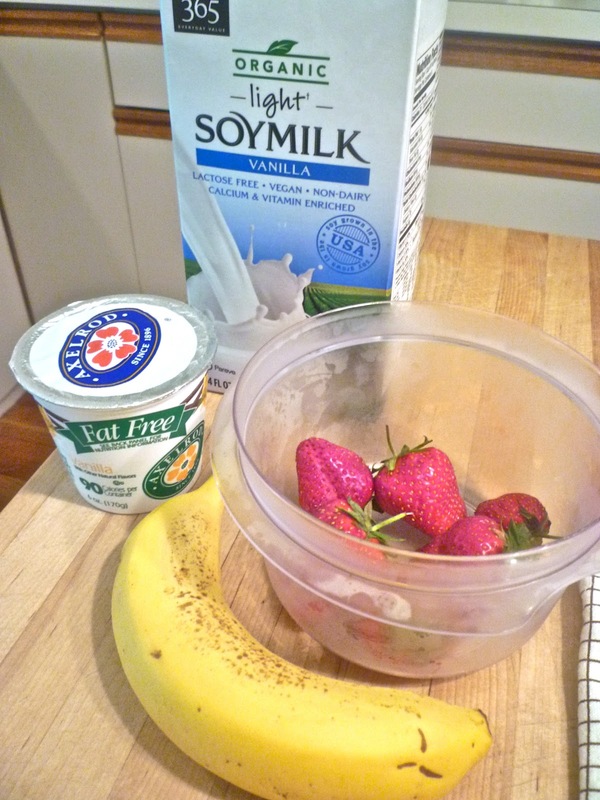 Or, you could use a different flavored yogurt or other types of fruits. It's up to you! But I do recommend that you try the combination I made of strawberry, banana, vanilla yogurt, vanilla soymilk, and oats. 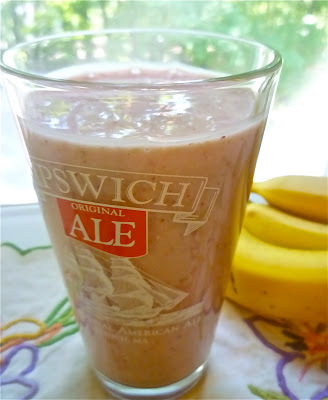 I added the oats to boost the fiber content, give me some more energy, and keep me more full. This was my fuel before I headed out for a run a couple hours later in the evening, and it was perfect! Place all ingredients in a blender and blend until smooth. If desired, you could add crushed ice before blending. Mine was cold enough as is, but adding ice wouldn't hurt. Or, you could stick the smoothie in the fridge for a bit before drinking it to make it cooler, or just pop a few whole ice cubes right in there as you drink it! I used my Cuisinart Smart Stick hand blender to make this, and it worked great. My regular blender is on the fritz, so when I make smoothies now, I try to keep the ingredients "softer" so that they work well with the hand blender. I love the Cuisinart one that I have! It's great for pureeing soups too.